The butcher shop is a ubiquitous element of modern life. No longer do we hunt for our dinners in the wild. Instead we visit the sanitized meat store. White walls, checkered tile floors, sausages and precisely cut carcasses hanging from the ceilings and a constant chill in the air from the refrigeration units create the familiar surroundings of the neighborhood butcher shop. People visit the butcher section of the grocery store for most major holidays and its not unusual to know your butcher's name and regale him or her with tales of your family members' dietary habits and personality quirks while said butcher slices a pound of ham for you. Its all very comforting, very traditional. It is how much of the developed world has been purchasing their proteins for generations. But there is a new type of butcher shop poised to change the way the bourgeoisie consumes meat...and its doing so by proposing we not eat meat at all. The Vegetarian Butcher is a retail outlet that is exactly what it sounds like...a butcher shop that doesn't serve meat. Meat analogues are the stock and trade of this now 3,000 outlet-strong franchise, spread out over 14 countries, that started with as one little vegetarian butcher shop that could in The Hague in 2010. 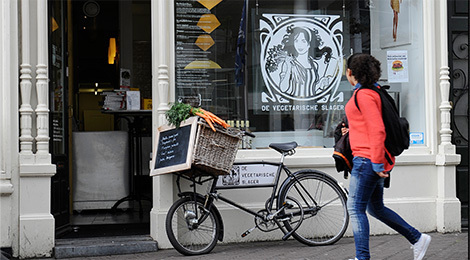 The Vegetarian Butcher is the brainchild of Jaap Korteweg, a 9th generation Dutch Farmer and Niko Koffeman, a former advertising exec who serves as a representative in the Dutch Senate for the Party for the Animals. The two met quite by chance while on a camping trip to Les Matherons, in Provence in 2008. Two nights a week Les Matherons serves a meatless meal for their guests and one fateful night the two men happened to be seated next to one another. Their shared interest in vegetarianism was about their only obvious commonality. Jaap was an areligious representative for the Dutch farmer's unions and Niko an animal rights activist who happened to be a Seventh-day Adventist, an historically vegetarian denomination. As it turned out Korteweg was a supporter and voter for the Dutch Party for the Animals. He had become a vegetarian a few years' prior during an outbreak of swine fever. The Dutch government had asked to utilize the large refrigeration units on his organic farm to store and preserve thousands of specimens of dead pigs until they could be properly incinerated. Disgusted by the idea Korteweg decided to become a vegetarian. But like many former meat eaters the transition from carnivore to herbivore was not an easy one. Thus, Korteweg and Koffeman began a discussion on the challenges of becoming a vegetarian when one was accustomed to eating meat. Koffeman, having been a life-long vegetarian, acknowledged that the meat analogues on the market, or as Seventh-day Adventists call them, veggie meats, were not similar enough to actual meat to entice meat lovers away from a prime rib. From this conversation the two men became friends and the idea for the next generation in meat analogues was born. After returning from their vacation they created "The Vegetarian Butcher." 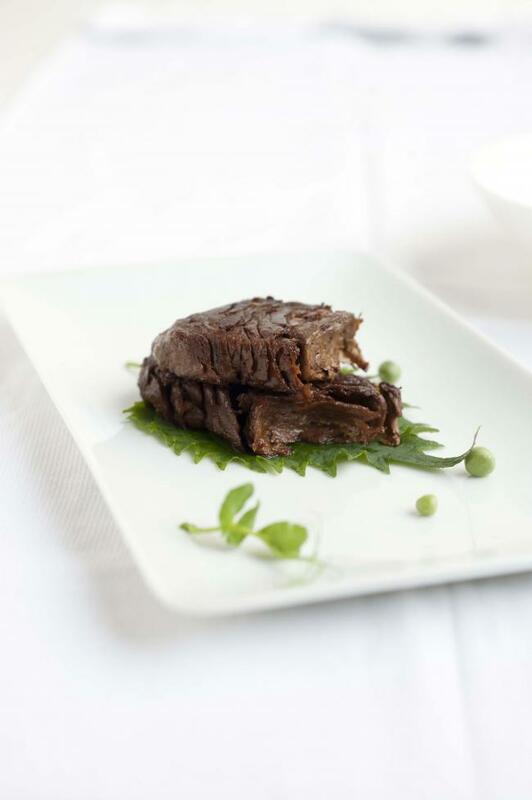 They hired top chefs, butchers and scientists to develop meat analogues that would look, feel and taste like real meat. Korteweg would go on to marry Koffeman's colleague Marianne Thieme, the leader of the Dutch Party for the Animals and the newly formed team of vegetarian super-friends established their first store in The Hague in 2010. Koffeman, an accomplished graphic designer and ad executive, created a logo for the business that looks like the Wendy's logo got a makeover courtesy of Alfonse Mucha. The Vegetarian Butcher was a huge success and within 5 years they had 2,500 outlets in 13 countries. Asked about his customer base Koffeman said, "We have a lot of meat eaters amongst our customers, also a lot of vegetarians and vegans with nostalgic feelings about their old time culinary traditions from when they were meat eaters. We also get lots of vegetarian women who love to betray their meat eating husbands with the vegetarian butcher." The entrepreneurs have their sights set on becoming the largest butcher franchise in the world and began raising funds for a massive production facility in the Dutch municipality of Breda last year. Their efforts to find investors proved so successful that they were able to raise 2.5 million Euros in bonds in just under three weeks. 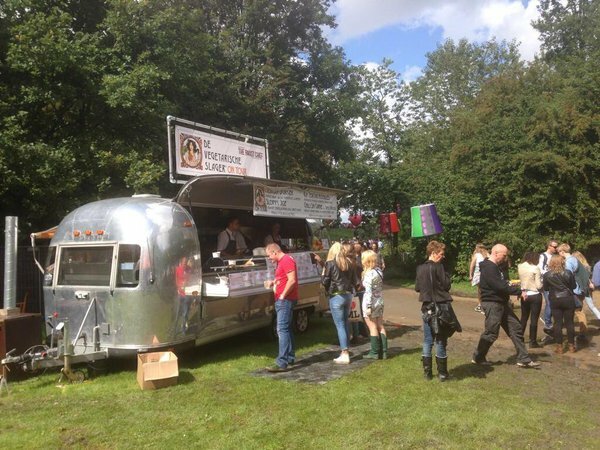 One method the Vegetarian Butcher is using to sell their goods currently is by vending out of a converted 1950's Airstream travel trailer. The goal is to enter the US market soon. With the growing numbers of vegetarians in the US population, and a reported 7.3 million practicing vegetarians currently, Korteweg and Koffeman are optimistic that they will be poised to bring a product to American shores that will revolutionize the way many meat eaters conceive of protein. Is the Vegetarian Butcher going to put traditional butcher shops out of business? Probably not. However, with the growing concerns many consumers have regarding the use of antibiotics and hormones in the raising of livestock, questions regarding animal cruelty in factory farming and the ongoing debate over deforestation in the Amazon for cattle production, the Vegetarian Butcher may be offering many an easy way to assuage their conscious and satisfy their taste buds.